Do you ever struggle with all the changes from Google and social media? Ever wonder, "Why don't I pop up online ahead of my competition?" Worse, have you ever hired some marketing hooligan who over-promised but under-delivered? 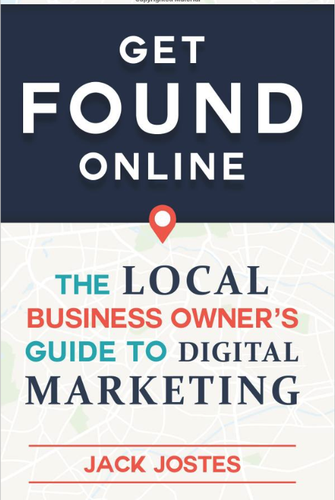 Jack Jostes is partnering with the Basalt Chamber of Commerce to deliver a never-before-seen presentation with content from Jack's best-selling book Get FOUND Online: The Local Business Owner's Guide to Digital Marketing. Sponsored by Aspen Skiing Company, and Element Basalt-Aspen. NOTE: Basalt Chamber members - there is a special orange button for you to register to receive your discount.